Hi Frugalistas! Flying from Sydney to Canada provides very limited options. It’s either Air Canada Australia to Vancouver, the seasonal (read ski season) Qantas to Vancouver, or a multistop job via either San Francisco or Los Angeles. The only other option is the other multistop flights offered by the East Asian airlines via their Asian hubs. So for me there was no real choice. Air Canada it was. I’ve waited quite a while to write this, as I sit and reflect on my thoughts. But finally, I’m ready to write my Air Canada Business Class Review Sydney to Vancouver, and then Montreal to Sydney. As is the norm, Air Canada offer premium passengers a priority check in service. 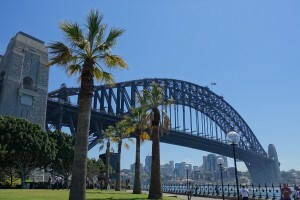 In Sydney I’m also provided with an Express Lane pass for Immigration and Security. Despite being “chosen” for the total body scanner, I’m through and on my way in no time. Coming home is a little different, as I am travelling initially from Montreal to Vancouver. No priority pass is provided, but it’s not really necessary. My flight out of Vancouver is one of the last ones for the night and the terminal is quiet. If the airport had been busy, I may have felt differently. 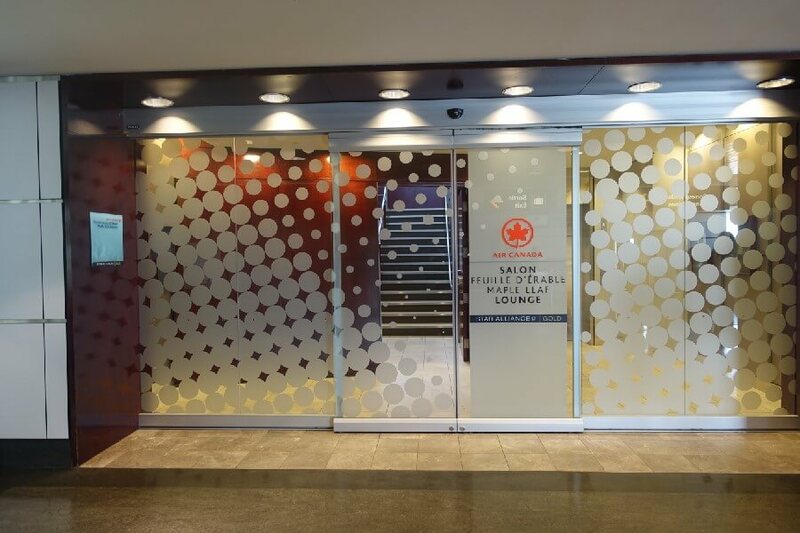 I knew that the Air Canada Lounge Sydney had previously been the rather ordinary Air New Zealand lounge in Sydney that I’ve written about previously. I had actually decided to give the new American Express Lounge at Sydney Airport a try instead. But on checking in I’m invited to use the new Singapore Airlines lounge, which seems too good an opportunity to pass up on. I’ll be posting about the Singapore Airlines lounge in an upcoming post, but suffice to stay it puts the old Air New Zealand lounge to shame. The Maple Leaf Lounges in Canada are a whole other story. The domestic lounge in Montreal is positively tatty, and the carpet is bordering on dirty. Probably the best thing about it is the pleasant outlook over the airport. The Air Canada business class lounge in Vancouver (both domestic for my flight east, and international for the return flight to Sydney) are definitely better. They are newer (and cleaner). They are more spacious. While there is an extensive range of alcoholic beverages, food and non-alcoholic beverage choices are quite limited. The food itself is fine, there’s just not much to choose from. Like many places I experienced in Canada, the coffee was ordinary. Because of the lack of competition on the Sydney-Vancouver route Air Canada doesn’t need to try hard to impress with its aircraft. 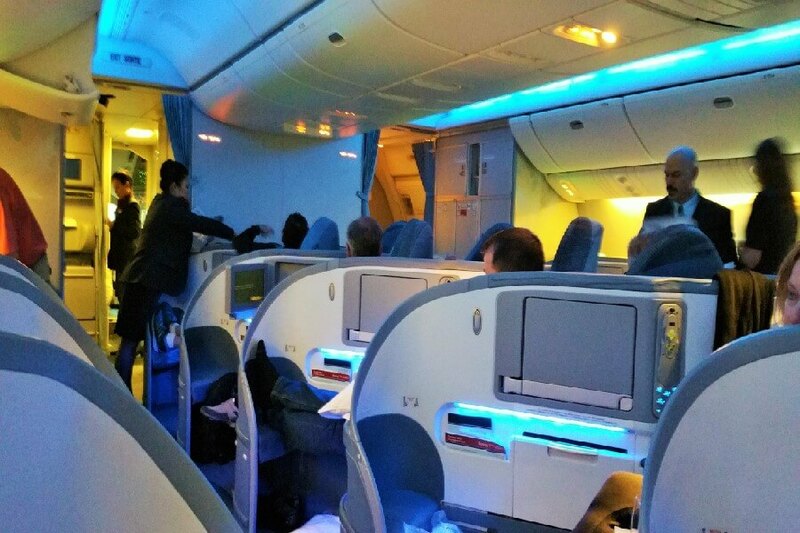 So instead of the quite glam looking Air Canada 787 Dreamliner, or even a 777 with the “new” Business Class seats, it’s an old 777, with old seating. The cabin looks quite tired. 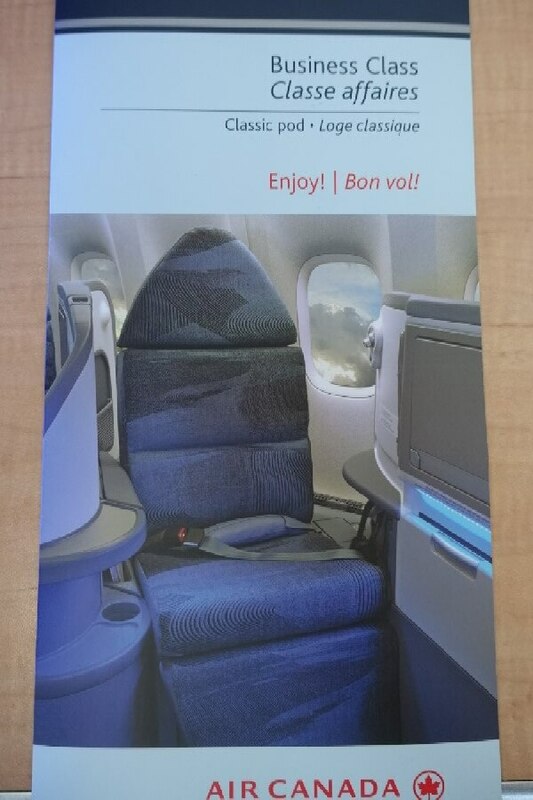 (Air Canada have just recently announced that the “new” seats will be on the Sydney to Vancouver route very soon). The Air Canada Business Class seats are angled in a herringbone manner, facing towards the aisle. It’s a style of seating I’ve seen multiple times but never actually flown. The first thing I notice is the lack of ability to look out the window, without craning my neck around. Sort of defeats the purpose of having a window seat really. While I can’t see anyone else (apart from their legs) the seating still feels quite open. 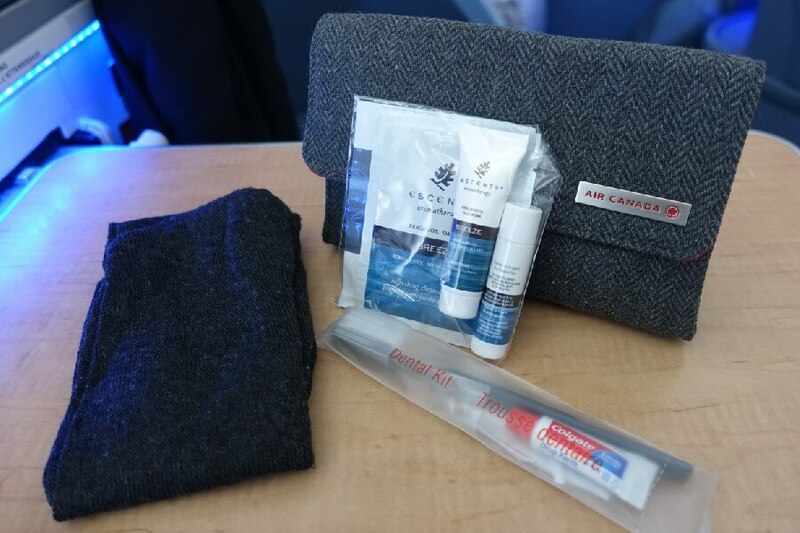 The Air Canada Business Class amenity kit is a good one, featuring a range of aromatherapy based Canadian creams and lotions. There’s also a card for a discount from their website, which I think is a nice touch – and something I’ve not seen before. I have to say, I do like the service on Air Canada. Flight attendants in Business Class are universally more mature in age. On the international legs they are friendly, bright and sparkly. On my domestic legs (between Vancouver and Toronto, then between Montreal and Vancouver) is service is also good, albeit a little more robotic. Drinks are replenished promptly and call bells are responded to immediately. Everything is done with a smile. Boarding in Sydney we are promptly offered a pre take off champagne. With just a few moments before push back the heavens open with a massive storm that shuts the airport for a good hour. Our flight attendant’s response? We crack open more champagne of course. Everyone jokes around, the bubbly flows and our delayed departure doesn’t matter anymore. 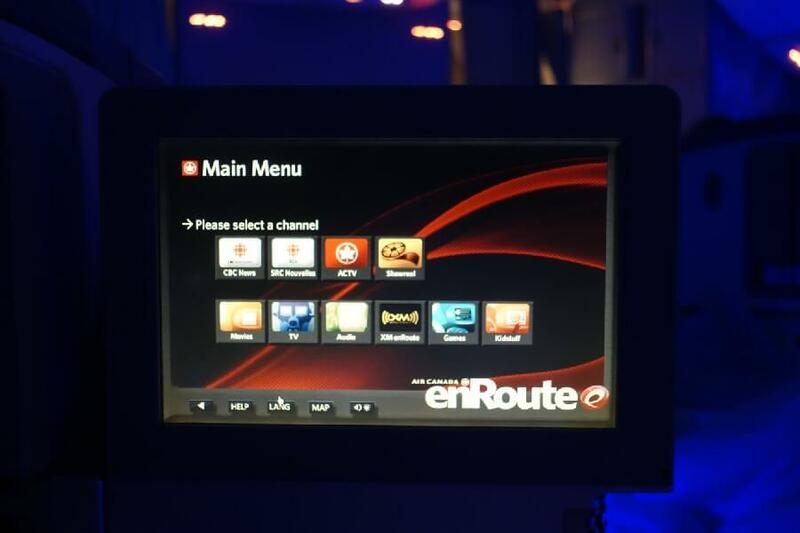 While the Air Canada entertainment screen is a bit on the small side, it was easy to use, and I found plenty to occupy my time. But, now what about that seat? After all, part of the reason for flying at the pointy end of the plane is the nice, comfy, big seat. And I have to say, generally, I did find the seat pretty comfortable. I found it easy to adjust to get my feet up on the stool to keep my legs up. Of course, it is a lie flat seat. When it comes time to sleep, I’m treated to a lovely comfy white duvet and a fluffy pillow. I do find the seat a little on the narrow side, and rather surprisingly, can only get comfortable if I lie facing the aisle. But having said that I do sleep well on both legs. 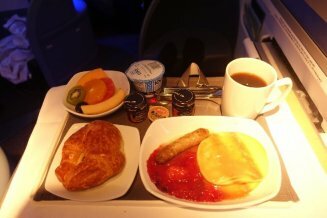 If you scroll through my photos you’ll notice just how appetising the food looked on Air Canada Business Class. The Air Canada Business Class menu is perhaps best described as “international” and is complemented by a good range of Canadian and International wines. The food doesn’t live up to either the Menu description or its appearance. 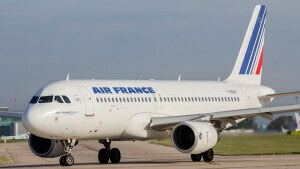 It’s airline food, and somewhat bland airline food at that. Serves are generous and the meal service is very professionally conducted, everything is perfectly cooked and the ingredients are good quality. It just doesn’t taste the way it was supposed to. My pancakes for breakfast coming into Sydney were described as having a lemon sauce. They were lovely and hot, the serve was generous and the pancakes fluffy. The sauce was generous, but it just didn’t taste like lemon. It’s a let down, like virtually everything I ate. On a route with almost no competition Air Canada doesn’t have to try hard for market share. With an old cabin, and average food, really it couldn’t compete with any decent competition. But having said that, I love the service of the Air Canada cabin crew. With their bright, friendly, generous personalities they represent their country and its people well. They also save the day for me when flying Air Canada Business Class Sydney to Vancouver. Author’s note: I paid for my own flights on Air Canada. I am not 100% sure about this but I believe that QANTAS has plans to start flying directly to Vancouver all year round. It is possible they have already started. 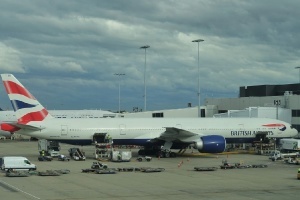 We flew Qantas business class from LA recently and it does sound like Air Canada might need to lift their game a bit. Qantas is a long way from perfect but it’s not bad. I’ve heard the same Lyn, and I know over the years Qantas have been in and out of the Vancouver-Sydney route. 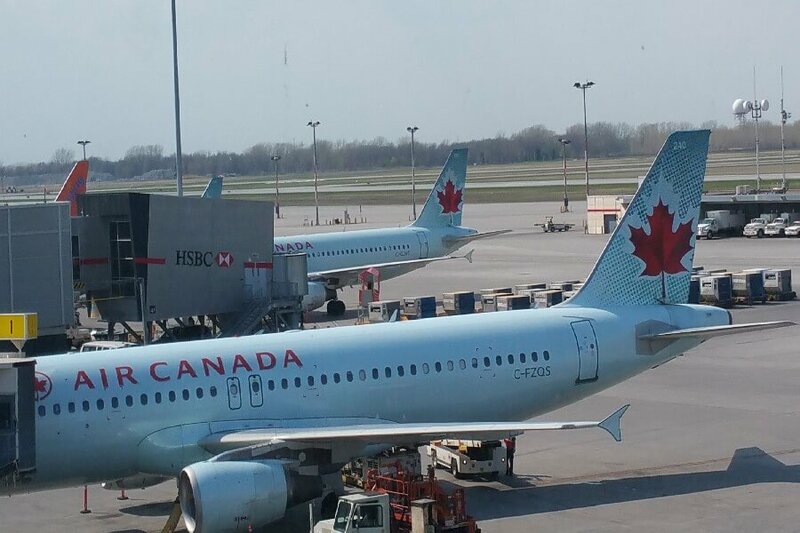 Where I think Air Canada can compete is on the seating – Qantas still do side by side seating in Business Class, which, as a solo traveller most of the time, I find a bit lacking. I think the service is probably fairly even, but I’m sure Qantas will do much better with their Neil Perry menus! Maybe you could tempt him with a cruise? 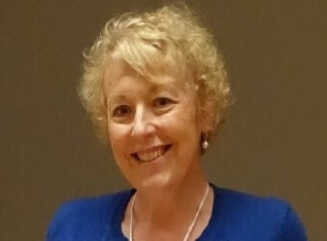 Well Air Canada or Qantas business class would be for me very fine – either one! The food on Air Canada looks pretty darn nice Jo and the amenities look lovely – I remember the day when we had a pack of amenities in cattle class – very rarely any more though. The amenity kit was definitely right up there, but the food looked so much better than it actually tasted.